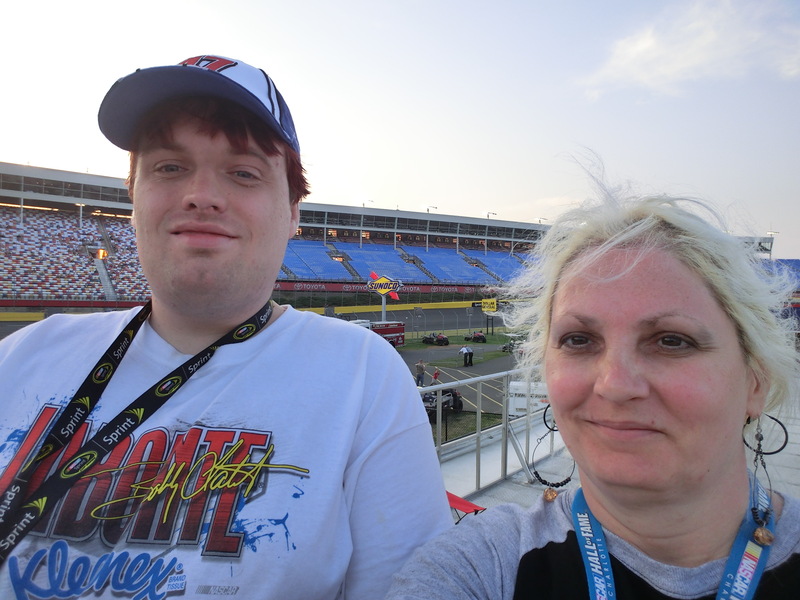 Cheryl ‘CAW’ and Joshua ‘JAW’ Walker were swept into the world of NASCAR over a decade ago. In return for the excitement, the acceptance, and the positive changes in quality-of-life the mother-and-son team experienced, they decided to give a little back through this blog. Sprinkled in with NASCAR-related information (in the form of articles, interviews, and commercial breakdowns of every Cup race), you can learn a little about things they have experienced and have a passion for, including awareness of Tourette Syndrome and related disorders. Here is a little information about the mother-son team bringing you this website. Just a small-town girl who finds the big world of NASCAR truly awesome. She also loves her Pittsburgh sports teams and watching tennis. Joshua loves NASCAR, as well as other forms of racing. Will always think Bobby Labonte is the greatest, no matter what he does.